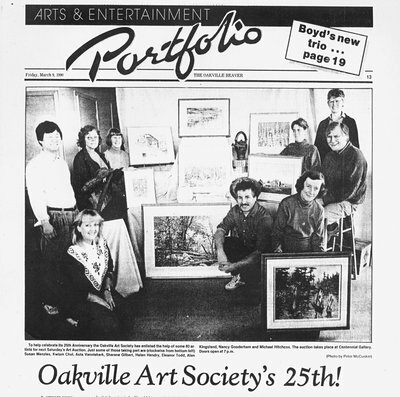 Oakville Art Society is founded. Second annual arts exhibition is held with a new name and new location: Art in the Park at Coronation Park. “The Cottage” Oakville Art Society's first dedicated location, officially opens in the fall. The first workshops are held at the Cottage in the fall – demonstrations in batik, and weekend oil painting were just some of the workshops offered. 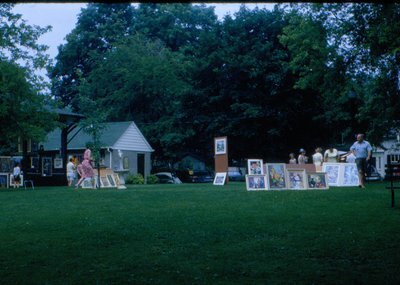 With the growing number of members and class participants, OAS had to expand and in 1970 acquired the Red House in Coronation Park, adjacent to the Cottage. On July 12th, OAS was incorporated under the laws of Ontario as a not-for-profit corporation and was registered as a charity with Canada Customs and Revenue Agency. The roof of the Cottage caves in and OAS has to look for a new location. 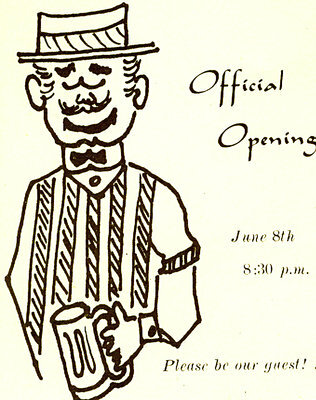 April 2nd the OAS purchases its current location at 560 Bronte Road. OAS celebrates its 25th anniversary! OAS pays off the mortgage on the location at 560 Bronte. Art in the Park moves its exhibition to Heritage Park in Bronte Harbour. The Town of Oakville approached OAS to become involved in the new Queen Elizabeth Park Community Centre. Art In The Park temporarily relocates back to Coronation Park to accommodate Town renovations in Heritage Park in Bronte Harbour. Art in the Park returns to Heritage Park in Bronte Harbour, a location festival visitors praise. OAS will have been a fixture in the community for 50 years!